BRICS leaders Chinese President Xi Jinping, Russian President Vladimir Putin and Indian Prime Minister Narendra Modi congratulated Dilma Rousseff on her reelection as Brazil’s head of state. Both Putin and Xi pointed to the social agenda of Rousseff’s politics as being crucial for her fresh mandate. “The President noted in his message that the election results show that Brazil’s voters support Ms Rousseff’s policy of socioeconomic development and promoting Brazil’s international standing,” said a Kremlin statement. In a congratulatory message to Rousseff, Xi pledged to further promote relations between China and the South American nation. The Chinese President asserted he had in-depth, fruitful talks with Rousseff during the 6th BRICS Summit in Brazil earlier this year. “We unanimously decided to deepen the mutually beneficial and friendly cooperation between China and Brazil in various fields, and to jointly promote development of the world order toward a more impartial and more rational direction,” he said. “I attach great importance to developing China-Brazil relations, and am willing to make concerted efforts with you to strive for sustained and rapid development of the comprehensive strategic partnership between China and Brazil,” he added. Leftist Rousseff’s victory means another four years in power for the Workers’ Party, which has held power for 12 years and leveraged an economic growth to expand social welfare programs and lift more than 40 million from poverty in Latin America’s most populous country. Russian President Vladimir Putin “warmly congratulated Dilma Rousseff on her victory in the presidential election” during a telephone conversation on Monday, said a Kremlin statement. “The two leaders discussed several issues concerning their increasingly strong bilateral cooperation and interaction in the international arena, and agreed on upcoming contacts, including within the framework of the G20 Summit in Australia and the BRICS leaders’ summit in Russia next year,” said the statement. In July this year, five BRICS leaders launched a $100 billion development bank and a $100 billion currency reserve pool on Tuesday in their first concrete step toward reshaping the Western-dominated international financial system. Brazil’s relationship with the US has been strained after whistleblower Edward Snowden’s revelations the Obama administration spied on Rousseff. The Latin American economy has, instead, boosted ties with the BRICS with China now Brazil’s biggest trade partner. Rousseff’s opponent in the elections, Aecio Neves, had asserted he would focus more on strengthening relationships with the US, if elected. “Congratulations to ? @dilmabr on her re-election as the President of Brazil! My best wishes to her for the 2nd term. I look forward to continuing to work with her to strengthen India-Brazil relations in the years to come.” tweeted Indian Prime Minister Modi on Monday. 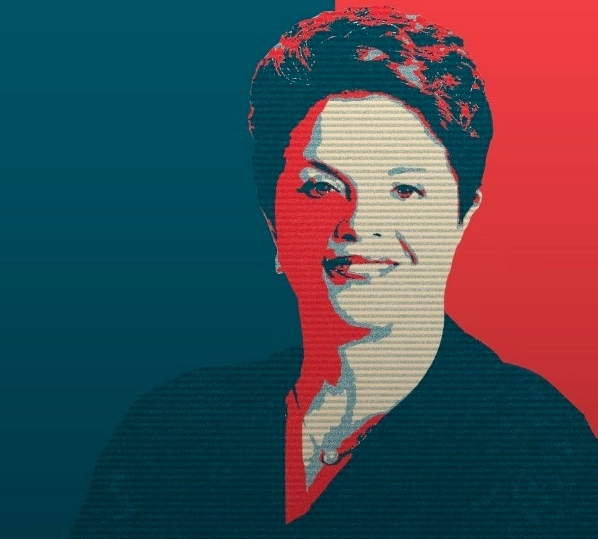 In her second presidential term, Rousseff will face severe challenges, particularly in countering a sluggish economy. In 2010, when her predecessor Luiz Inacio Lula da Silva stepped down, Brazil’s economic growth rate was 7.5 per cent. But after Rousseff took office, the country’s GDP increased by only 2.7 per cent in 2011, 1 per cent in 2012 and 2.3 per cent in 2013. Brazil’s Central Bank forecast this year’s figure will be only 0.27 per cent. A recent report from the Central Bank also said economists of main financial institutions have elevated this year’s inflation expectations for the fourth consecutive week, from 6.32 per cent to 6.45 per cent, approaching the government’s official target for inflation. Western ratings agencies have warned that a credit downgrade is possible unless Rousseff makes hefty spending cuts to correct deficits that have mushroomed in recent months. In a victory speech on Monday, Rousseff said the government would work towards ensuring high levels of employment and the recovery of wages and fight inflation. “We will give more impetus to economic activity in all sectors, and particularly in the industrial sector,” added the president. Rousseff has repeatedly echoed the non-interventionist foreign policy objectives of the BRICS bloc. Earlier last month, even as the US launched a new round of airstrikes in Syria, Rousseff criticized the use of military force in Middle Eastern countries and also in Ukraine. The use of force, the Brazilian President said, is incapable of eliminating the underlying causes of conflict in Palestine, Libya, Iraq or Ukraine. “Each military intervention leads not to peace, but to the deterioration of these conflicts,” she said during her UN General Assembly speech. The five BRICS leaders will meet on the sidelines of the G20 Summit in Brisbane, Australia next month and during the 7th BRICS Summit in the Russian city of Ufa next year.